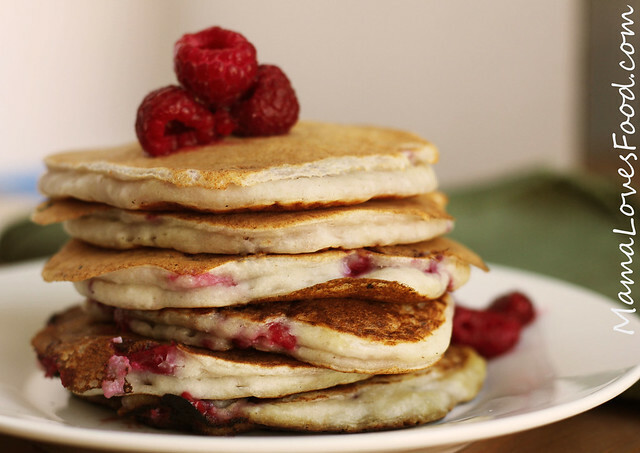 You are here: Home / breakfast / Raspberry Ricotta Pancakes. 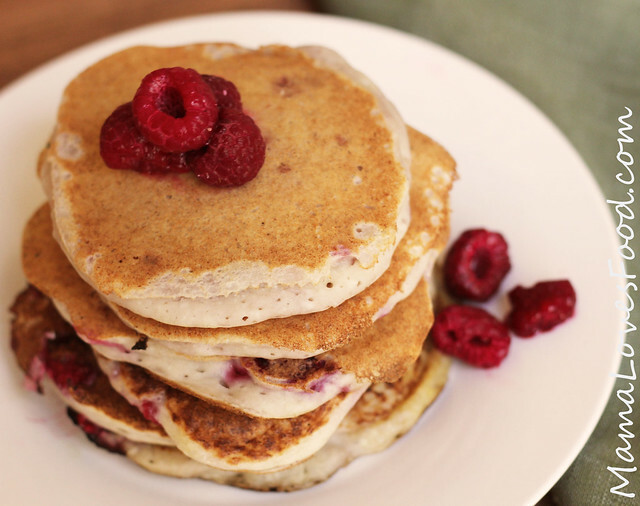 These Raspberry Ricotta Pancakes were a delicious change of pace from our regular plain pancakes. I’ve been seeing a whole lot of fancy recipes for ricotta pancakes and thought maybe I could make it simple. So I did! These are tasty and filling and full of good protein from the ricotta cheese. I ate mine with a dollop of reduced fat whipped topping and some extra raspberries. YUM. 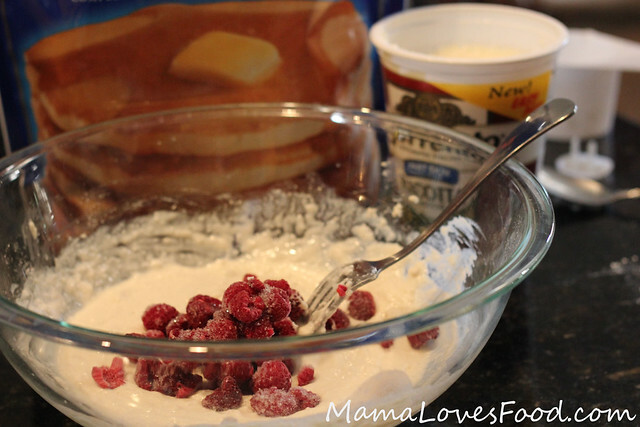 Combine pancake mix, ricotta cheese, and water in a large bowl. Mix well, then fold in fruit. Watch for bubbles to start coming up in batter, then flip and continue cooking until golden brown. Serve plain or with syrup, fruit, or a dollop of whipped topping. « Sausage and Pepper Stuffed Shells. YUM! Love me some ricotta pancakes! Add raspberries and I'm really in heaven! Oh yum! This sound delicious! Putting these on my list for sure!